Coming in April: Hello, Cupcake! 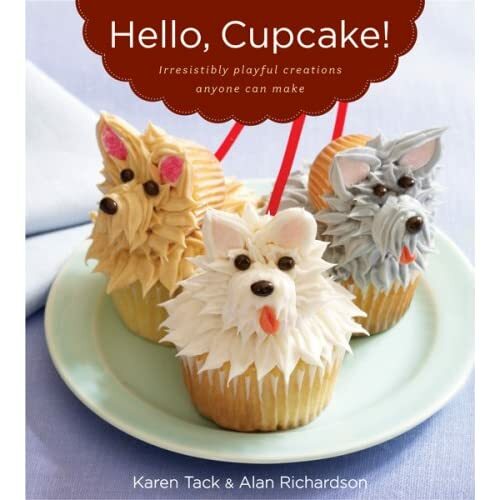 I'm gonna be a tease with this one, because it's not out until April 2008, and we will have the scoop, including an interview and maybe even an event with this one, but the cover is just about the cutest thing I've ever seen, and the recipes are incredibly creative and fantastic. So add it to your Amazon wishlist now! Witty, one-of-a-kind imaginative cupcake designs using candies from the local convenience store. No baking skills or fancy pastry equipment is required. Spotting the familiar items in the hundreds of brilliant photos is at least half the fun.